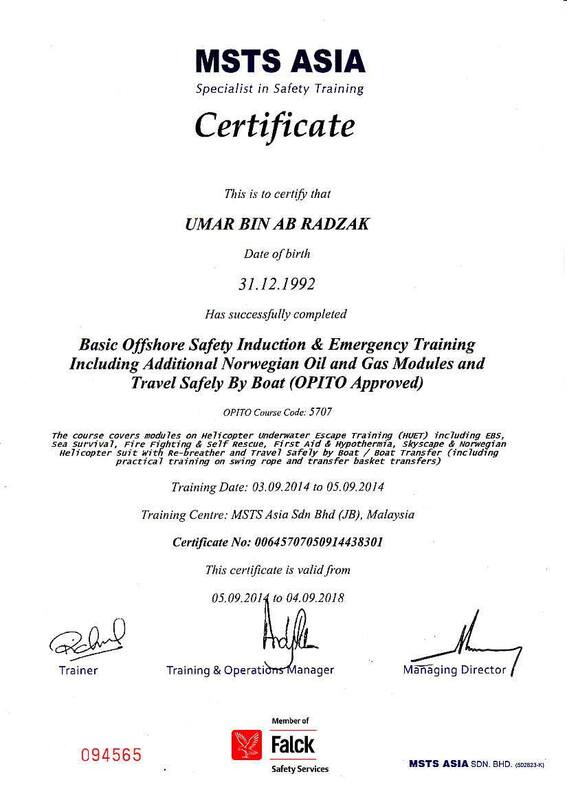 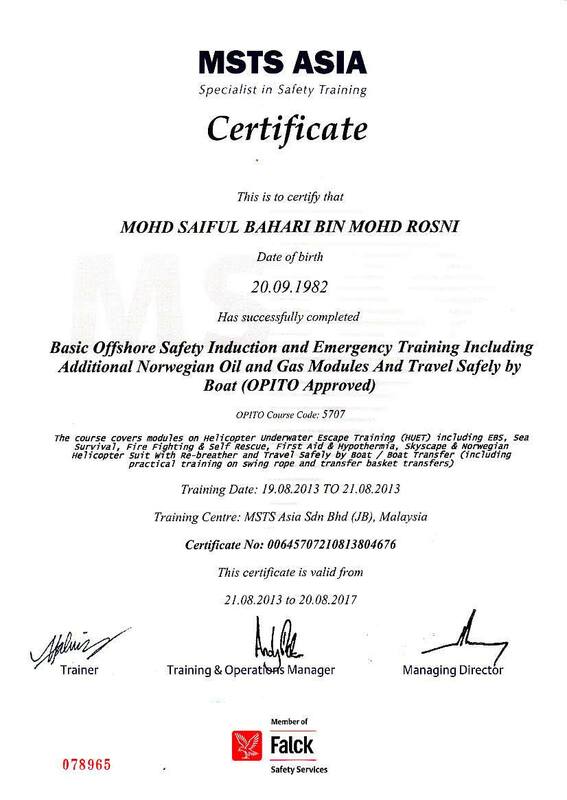 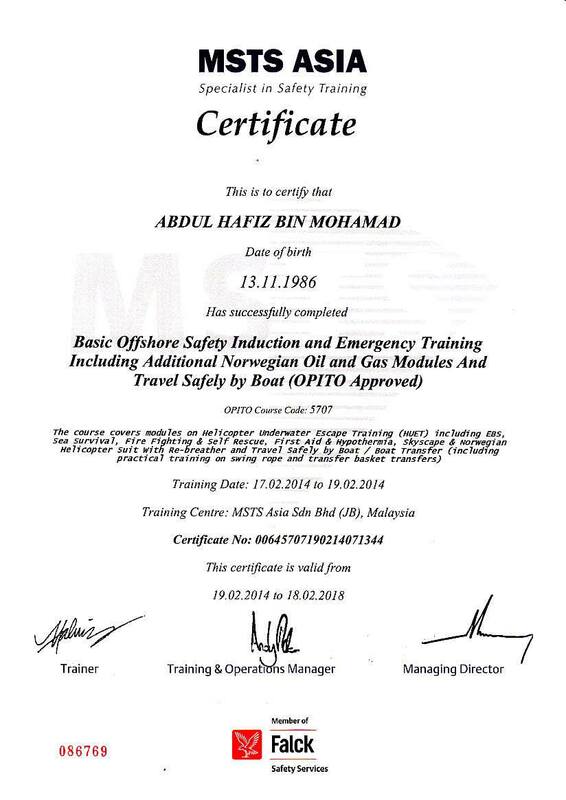 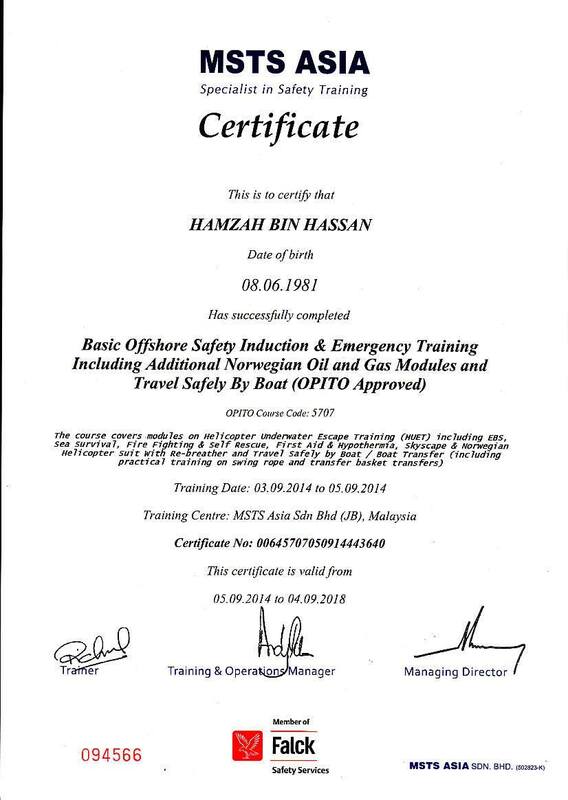 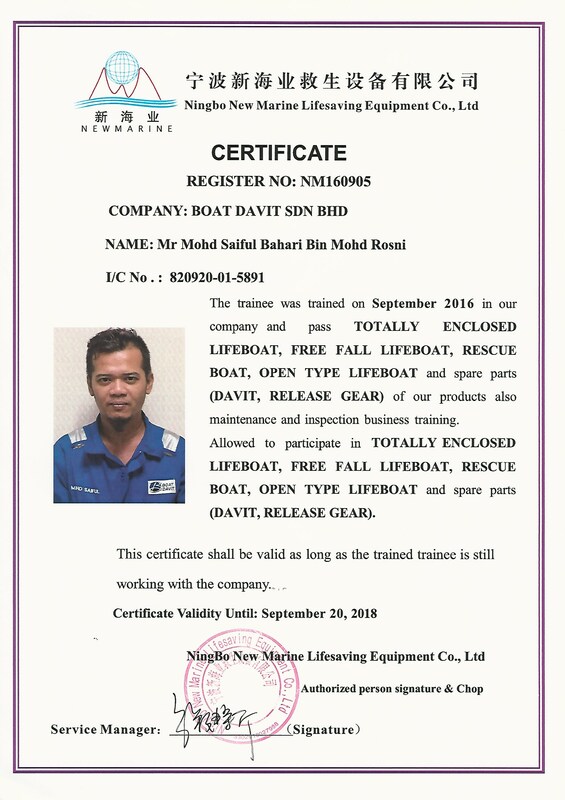 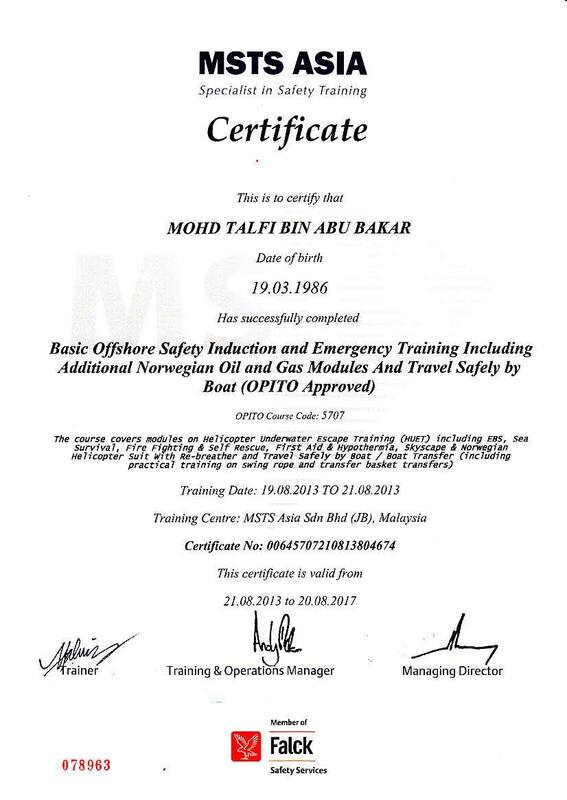 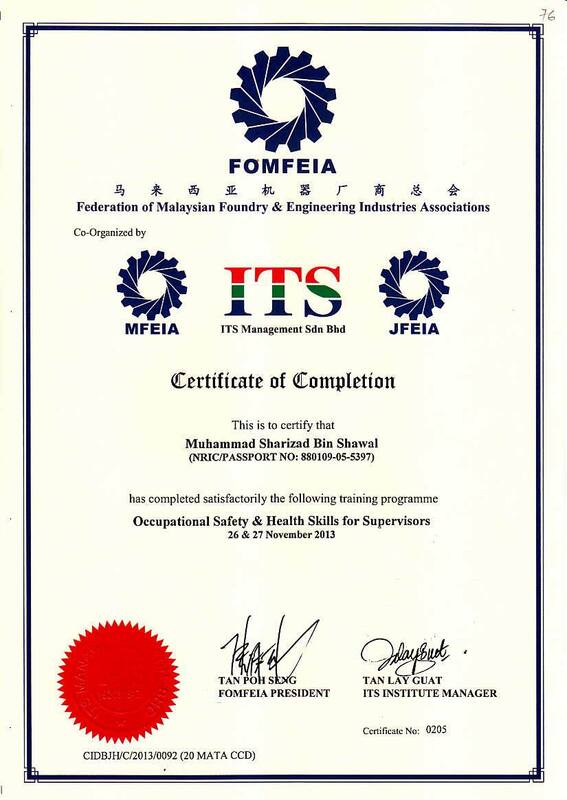 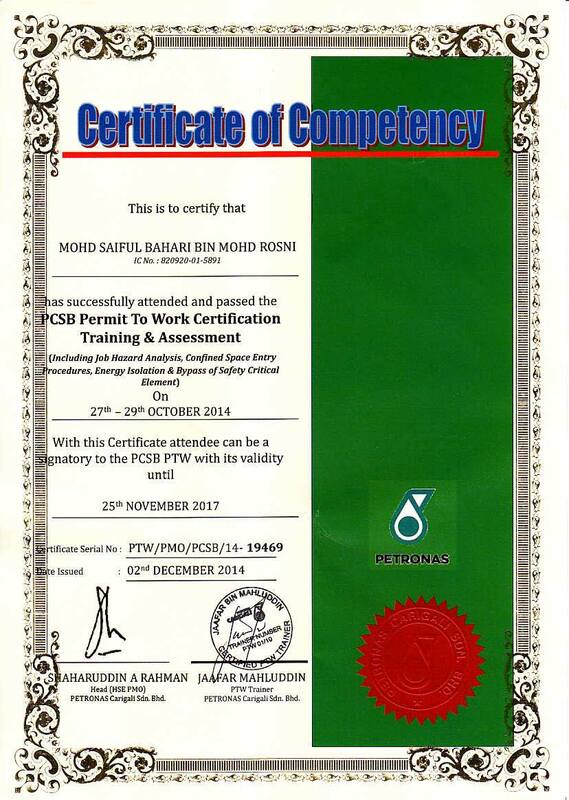 Hamzah Hassan has more than 10 years’ experience as a Lifeboat Service Engineer , competent to carry out servicing and maintenance of lifeboats, rescue boats, the gravity luffing arm type davit and launching appliances system, winches and release gears from more than 10 different manufacturers. 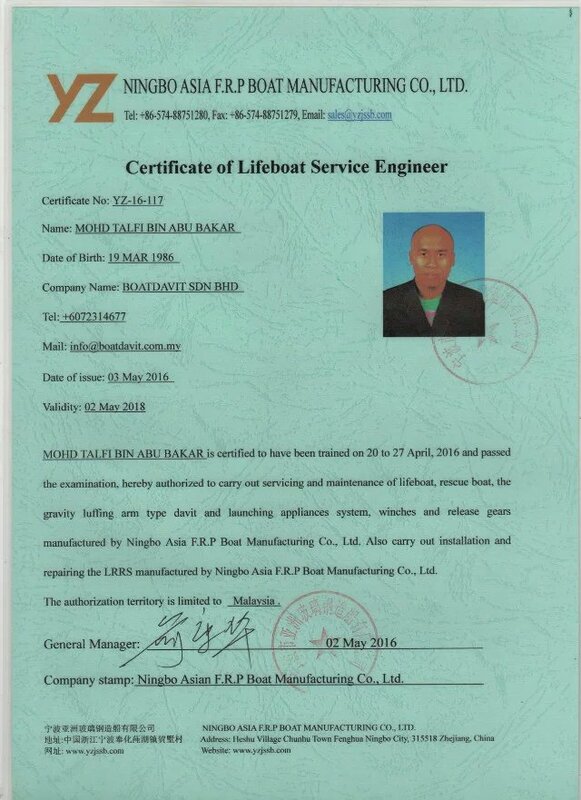 He previously work for Shipguard Inc and Portmarine Safety Services where he has performed more than 1000 lifeboat servicing jobs for ship owners from around the world. 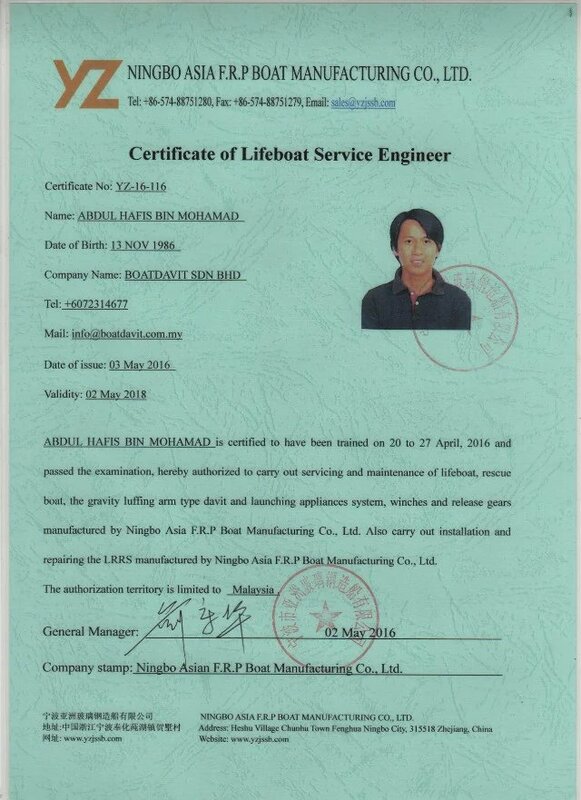 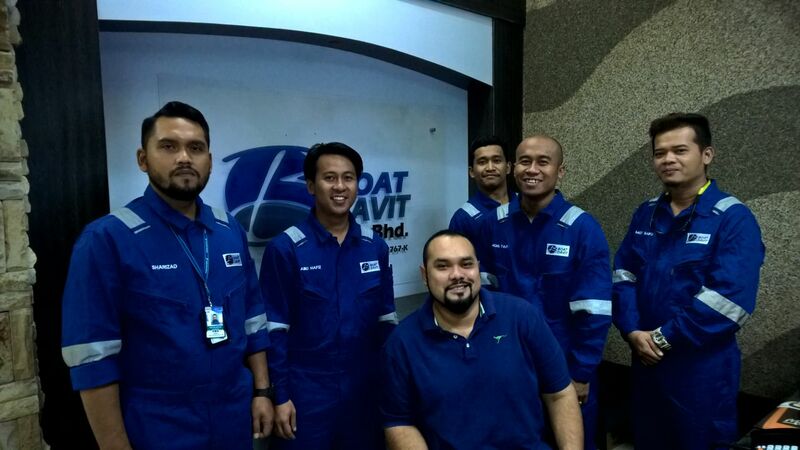 Hamzah has attended more than 300 hours of lifeboat service and maintenance training from different makers in China and Japan. 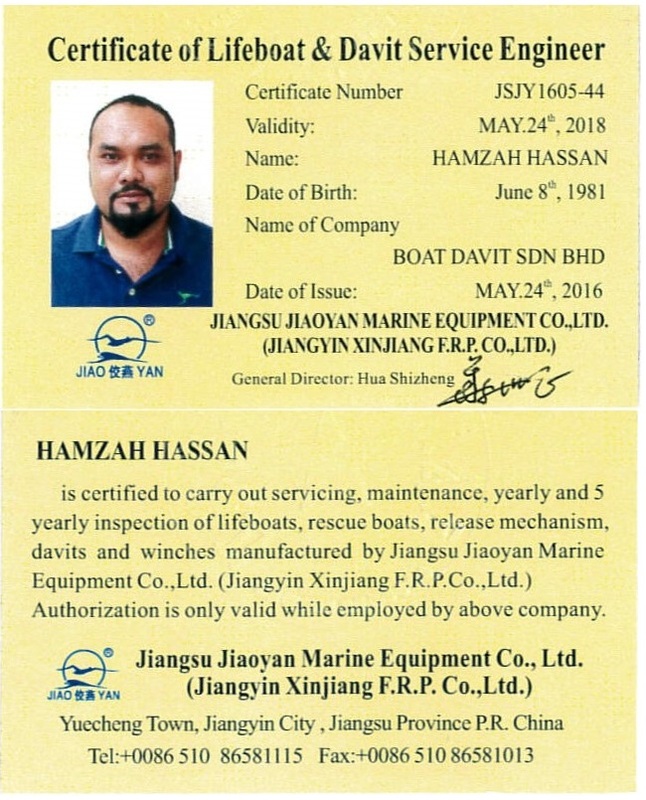 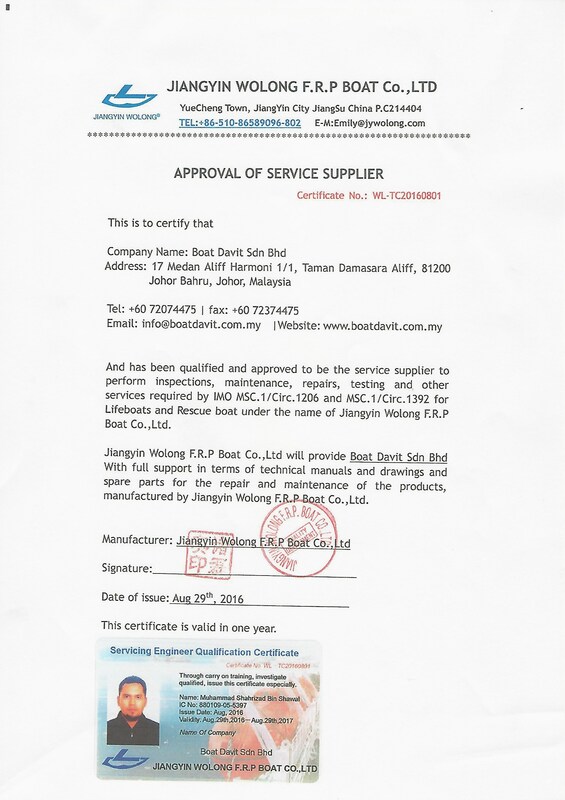 Recently for Boat Davit , Hamzah has been authorised by the lifeboat manufacturer Jiangsu Jiaoyan as an approved Service Engineer.